ASNC has a long, proud history of supporting the entire laboratory imaging team practicing nuclear cardiology. Each team member brings a specific area of expertise and unique knowledge to the imaging lab. We dedicate April to one of the key team members- the Technologist. 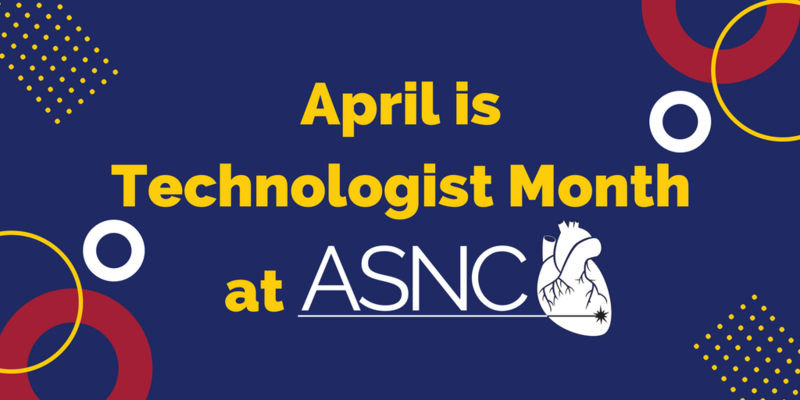 Now until April 30, ASNC will offer special Technologist resources. Watch for updates on ASNC Technologists Month activities in our ASNC blog and emails throughout the month. Sign-up for our newsletter to stay up-to-date all year round. During Technologist Month, we also want to expand our Technologist community by inviting members to encourage their peers to join the Society improving cardiovascular outcomes through image-guided patient management.